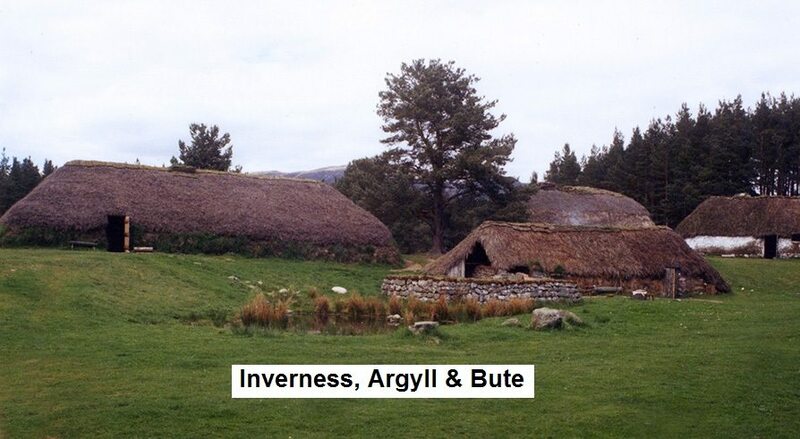 A very plural tradition, as there is a wide variety in the thatching methods used here; none of them following, a purely standard method of thatching. 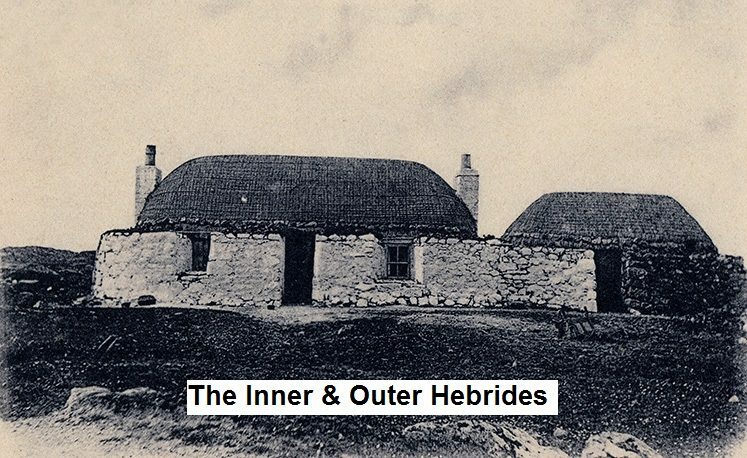 Gearrannan, a Hebridean thatched village on the Isle of Lewis… Showing the original blackhouses, with some later improvements. But the comfort of chimneys and windows, couldn’t persuade the original inhabitants to stay on, leaving for modern housing, in the 1970’s Luckily these old buildings were saved, the only large group now left. 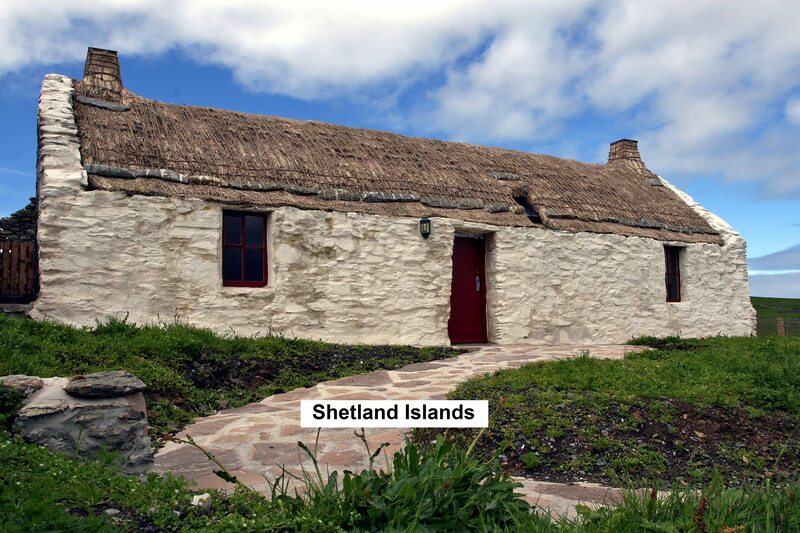 The North West of Scotland, The Hebrides, Orkney, Shetland and Man all follow the Highland tradition of thatching. But similar thatching was once practiced in the far off, Isles of Scilly. 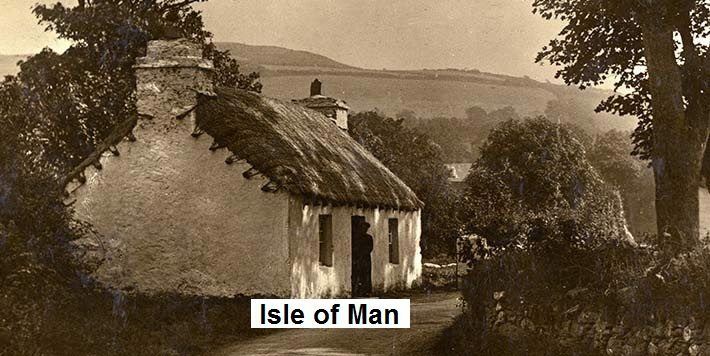 The same conditions prevailed; wind, few trees and a scant supply of thatching materials; so similar working methods evolved; that of tightly roped down, thatched roofs. The Isles of Scilly following a totally different tradition, than that used in the rest of the South West. Nearly all work is fixed from the outside; mainly by roping or liggers. 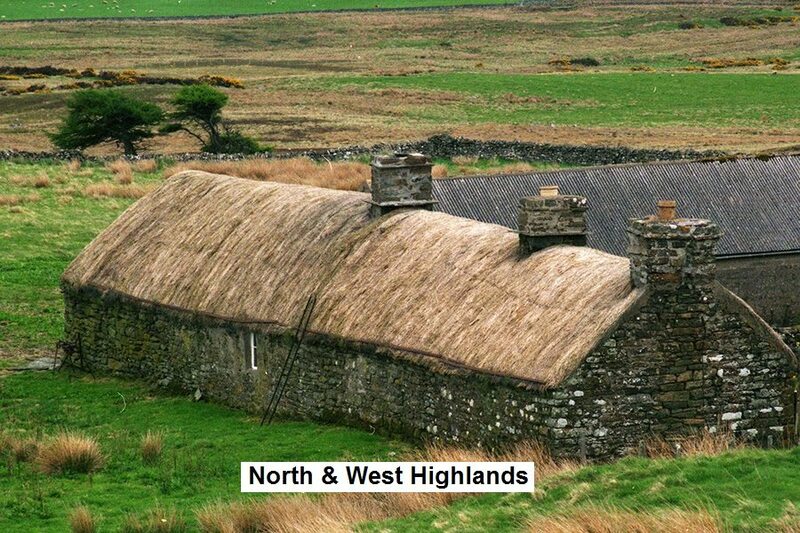 Most thatching uses the directional method, with random work mainly confined to the Outer Hebrides. Turf is used extensively as a coatwork base, throughout this area. 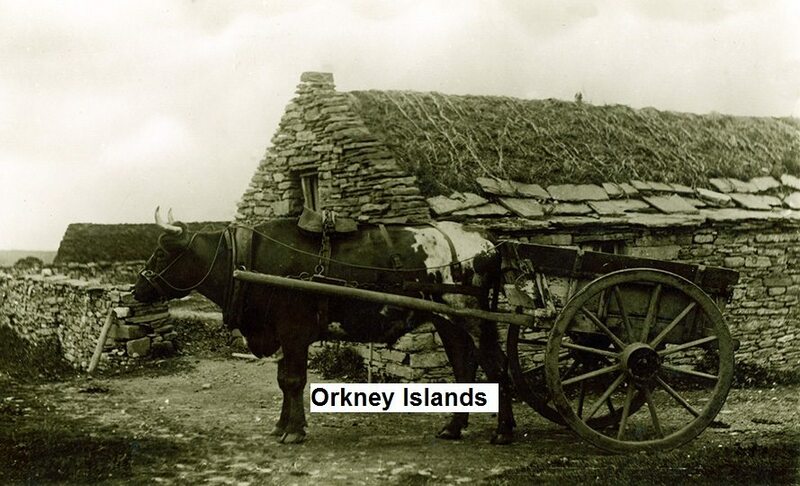 These practices were once much more widespread; being superseded by Northern style methods, in eastern Scotland in the eighteenth and early nineteenth centuries; when agricultural improvements created a surplus of cereal straw. Below are some examples, from the areas this section covers.